Last week saw the Battle of the Festive Sarnies and this week sees all things festive continue and it is only right we start with the first Christmas good I purchased. Yes, I have braved the new M&S Gingerbread Teacakes. Their Red Velvet and Dulce de Leche ones were less than desirable in taste and didn’t exactly do well on conveying what they were meant to be; so you can imagine my apprehension here with these Gingerbread Teacakes. Now the reason I hop-footed it down to M&S when I heard these had hit the shelves was purely my love of gingerbread. It would be the same if M&S did a peanut butter version – hint hint. I would still buy them and pray the whole way home that they taste like their namesake. 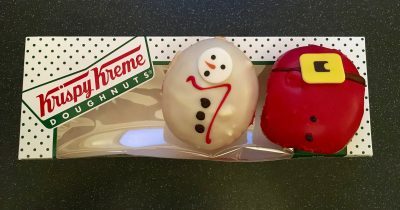 These Gingerbread Teacakes are part of their new festive range, which as always is pretty extensive. Unless you have not visited the shops recently you will have noticed the festive goods are being shoehorned more and more onto the shelves, that it is full to bursting. 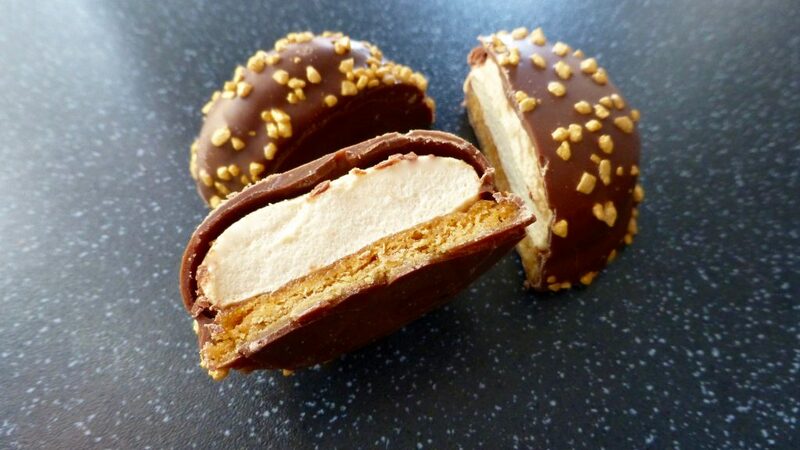 Anyway back to said Gingerbread Teacakes. These were £1.00 for a pack of six and come in the annoying plastic tray that will never go back in the packet that it came from. Plastic trays aside, I am little bit in love with the gold sparkly nuggets on top, yes things are better with sparkles on top! Inside was certainly promising and the ratios looked far better than previously. Taking a full on bite hallelujah I could taste gingerbread. Yes actual gingerbread! I was pretty taken aback I won’t lie after two failed attempts this little beauty has finally given us what it is supposed to be. The biscuit, although slightly on the softer side, was crumbly with a warming, slightly earthy gingerbread spice, the spongey marshmallow bought a lighter ginger flavour that together with the biscuit made the tip of my tongue tingle from the warmth. 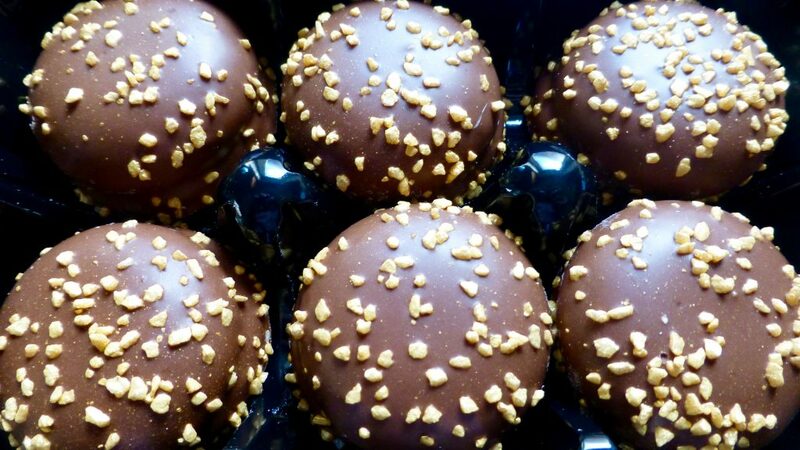 The chocolate was smooth and milky, not the greatest of qualities but it did the job of bringing the teacake together, and the crunchy pieces on top gave that much needed texture. 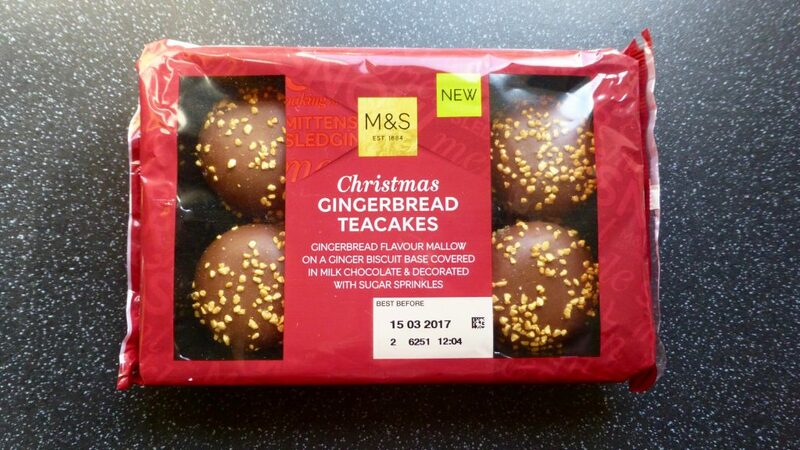 I cannot believe it guys and gals, the M&S Gingerbread Teacakes actually tasted of gingerbread. It’s a miracle! I really had lost all hope but M&S you have relit the fire and put me in good spirits with these! Gingerbread lovers go get your mittens on these! See you tomorrow for another Christmas goodie. I was most surprised Sarah!